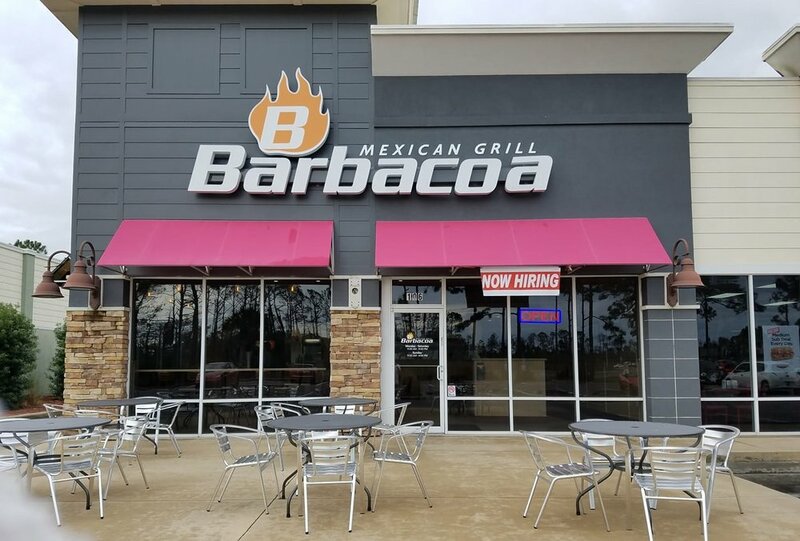 Now Open… in Panama City Beach, Florida, Barbacoa began serving Tex Mex Style common sense food in 1999 by providing simple, quickly prepared meals with fresh, wholesome ingredients. We have been serving natural, non-processed food for our customers even before it was popular to do so, because we believe our customers deserve to eat well at a fair price. From any of our over 10 Barbacoa locations you can watch as our friendly staff prepares your personalized burrito, taco, salad or soup right before your eyes. 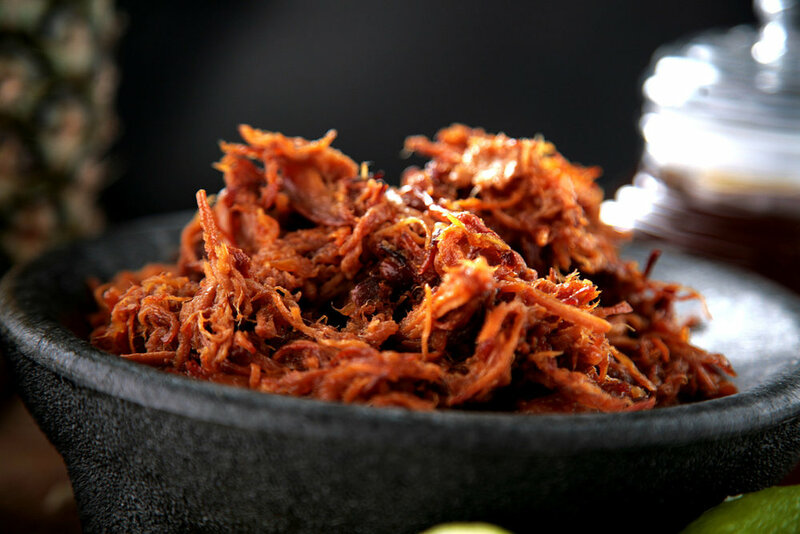 As you progress through the available food options,, you choose the meat variety (or no meat if you prefer), black or pinto beans and fajita vegetables. Then it is up to you how it’s topped! You can add as much or as little as you like of cheese, sour cream, guacamole, lettuce, and your choice of salsa. At our brand new Barbacoa, Panama City Beach, you’ll always find fresh, quick, guilt-free food at an extremely fair price. No wonder we’re a favorite of people with active lifestyles, including professional and college athletes, bike racers and other top performers. We are not the biggest quick casual Mexican restaurant company, but we truly believe our relatively small size allows us to better serve our customers common sense food....because we believe that you deserve to eat well! Because it’s the healthy way to eat a burrito! Try our huge soft shelled tacos. These are a delicious handful of your taco favorites which include marinated meats, fresh corn, pico, de gallo, cheese, salsas, sour cream or guacamole. Because you might only want one! “The honey sweet pork will change your life!” Matt. Our Barbacoa Burritos are HUGE! …You won’t leave hungry! Fresh Juicy Sirloin, hand trimmed, marinated in our signature adobo for 24 hours, then double grilled and diced. Make your soup like you make your burrito! Your choice of rice, beans, and meat topped with our Mexican vegetable broth, cheese, sour cream and tortilla strips. Not your ordinary taco! Crunchy corn taco shell wrapped in a melted cheese tortilla and filled with your taco favorites. Enjoy a healthy salad Barbacoa style, with your choice of beans, delicious meats, guacamole, cheese, salsas and other toppings! 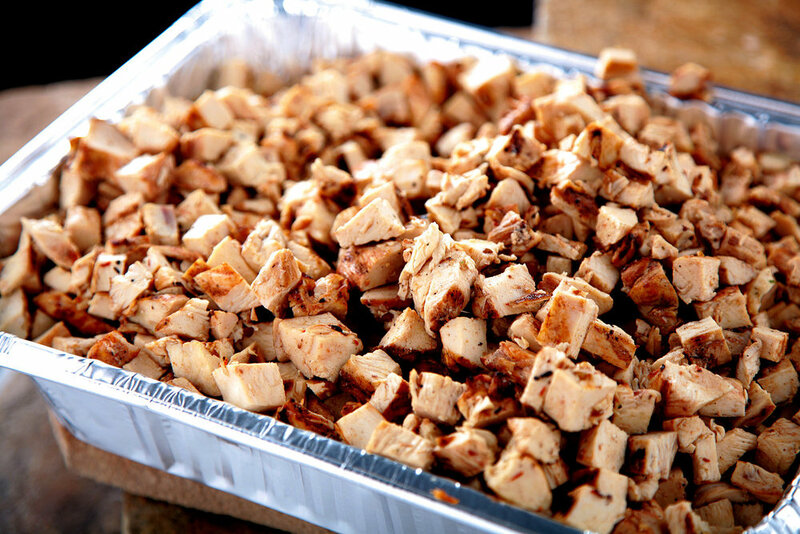 Our signature meat, tender pork is marinated for 24 hours and slow cooked with roasted pineapples in a honey glaze. Our burrito bowls are the perfect way to enjoy a burrito when you don't want all the extra calories. Fresh roma tomatoes, with green peppers, onions, cilantro, and lemon juice. The perfect additions to any meal. 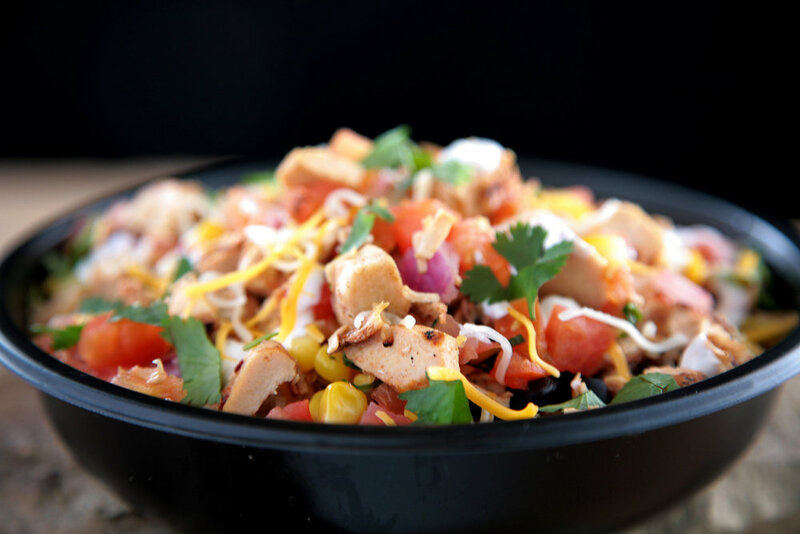 Add our delicious fresh Mexican corn salad to you taco, burrito or bowl! We can cater for 20, 50, or even 1,000! Get our signature cilantro lime rice, your choice of pinto or black beans, your choice of two of our five delicious meats, a blend of cheddar and monterey jack cheeses, our mild, medium and hot salsas, sour cream and fresh romaine lettuce. Served with tortilla chips and a variety of salsas. All served buffet style. Click here for more info and book your event today!